Nothing says summer like the fresh taste of lemon. 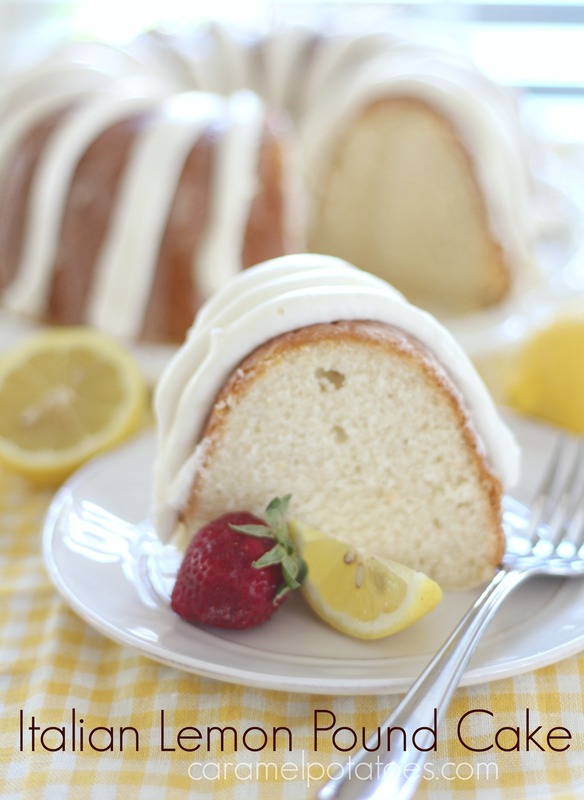 This Italian Lemon Pound Cake is perfect for all your upcoming events. It’s pretty enough for a bridal shower and easy enough for a summer potluck. 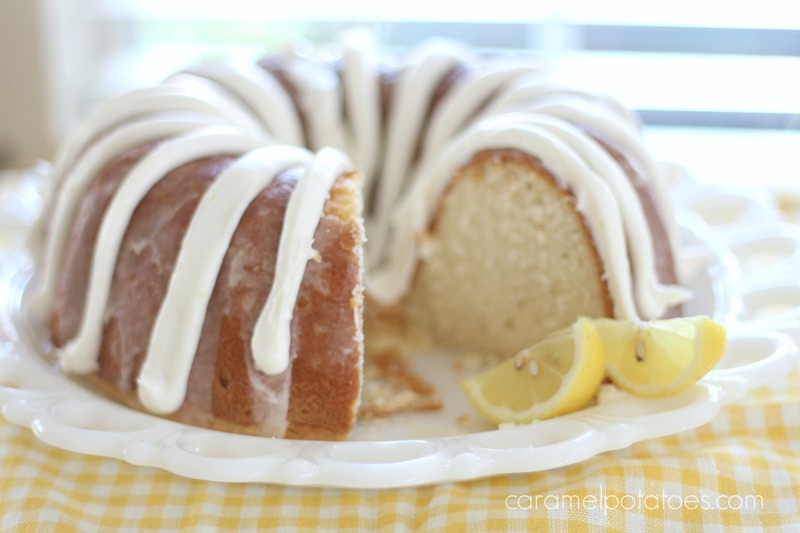 This cake is so moist and tastes so fresh with a splash of lemon glaze. You can make it ahead (even freeze), and serve for a wonderful end to any meal- you may want to try it with some fresh berries and a dollop of whipped cream for even more goodness. Finally, I added some lemon buttercream for even more amazing lemon flavor. No matter how you serve this cake, it will become a favorite. Cream the butter and slowly add powdered sugar and lemon juice. Beat well until the glaze is a creamy and smooth. Whip your butter until light and fluffy. Slowly add the powdered sugar, one cup at a time. Add the lemon zest and lemon juice. Add milk a teaspoon at a time until you reach desired consistency. Use a ziplock bag with the corner clipped to pipe the frosting onto the cake. 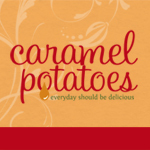 Hi Kyra, oooh, hope you’ll bring this on over to Food on Friday: Cakes over at my house (Carole’s Chatter)!